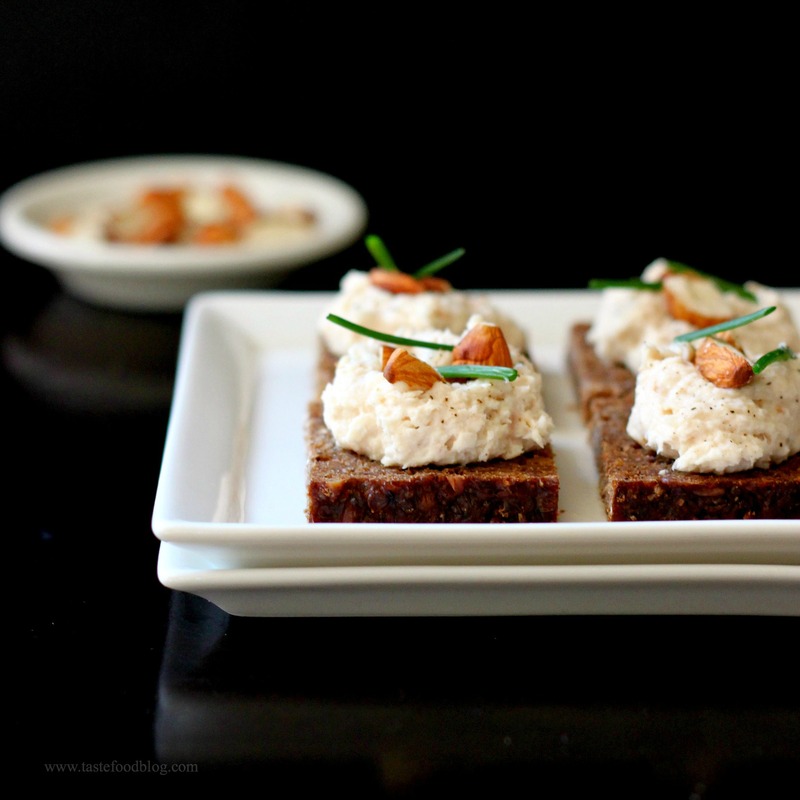 Smoked Trout Pâté is the ideal recipe to have on hand for the holidays. Not only is it a snap to prepare, it’s versatile; elegant enough for a fancy party and simple enough for a fireside dinner. The ingredients are minimal and may be purchased in advance and stored in the refrigerator, ready to be blitzed at a moment’s notice or a surprise guest’s arrival. The smoky trout is fluffed and lightened with lemon and cream cheese, then crowned with crunchy toasted almonds and fresh chives. The flavor is so addictively good you might want to double up on the quantities, so you can make a separate stash for yourself. Serve the pâté on baguette slices, pumpernickel rounds, or cubed pumpernickel bread. Don’t hold back on the almonds. Their nutty flavor and crunchy texture are what set these canapes apart. Smoked mackerel may be substituted for the trout. Makes about 2 cups. Process all of the pâté ingredients in the bowl of a food processor until light and smooth. If too thick, add a little more lemon juice. Transfer to a bowl. To serve, smear on pumpernickel bread or baguette slices. Sprinkle with almonds and chives. This looks very Danish to me – and delicious! Oh this is perfect!!! Pinned to make this over the holidays for sure. It’s just gorgeous.